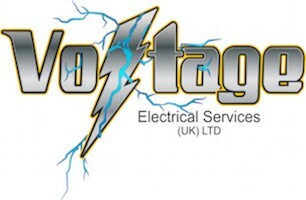 Voltage Electrical Services (UK) Ltd - Alarms/Security, Electrician based in Dartford, Kent. Are you having issues with the Electrics in your property and you are looking for a professional to help? Perhaps you are renovating and would like to add additional Sockets and Lighting? Well look no further Voltage Electrical Services (UK) Ltd is here to help with all of your Electrical needs. With over 10 years of expertise within the Electrical industry we are a long established trusted business who cover Kent, Bromley, Maidstone, London and all surrounding areas. We offer an extensive array of Domestic services with finance available upon request starting from Full and Part Rewires, Garage Electrics, Lighting, Interior & Exterior Inspection Reports, All Electrical Testing, Heat Alarms, New Builds, Garden Sockets, Electrical Showers, Plinth Lighting to Security Lighting, Garden Lighting, Modern Lighting, External Power, Bathroom & Kitchen Extractors, Change/Adding Sockets, Underfloor Heating, Boiler Spurs, Consumer Units (Fuse Boards) and Test Certificates. We understand that Electrical emergencies can happen at any time so with that in mind we offer a 24 Hour Call Out Service and aim to get out to you promptly. To give you that extra piece of mind we are ELESCA and part P registered and are covered by a 5 million pound liability insurance. All of our team are fully qualified and dedicated to what they do always providing an excellent standard of customer care from start to finish. When carrying out a project our team only ever use high quality long lasting parts and all work carried out comes with a 6 year guarantee. Our aim is to always provide a reliable, professional hassle free service for you with expert help and advice along the way. Why not give us a call today for your Free Quotation and to have a chat to one of our friendly team members, we look forward to hearing from you. When you call or click through to the website from this advert we would appreciate it if you would let us know you found our business on checkatrade.com. Bexley, Bromley, Chislehurst, Dartford, Gravesend, Greenhithe, Kent, London, Sevenoaks, Stone, Swanley, Swanscombe, Tunbridge and all surrounding areas.